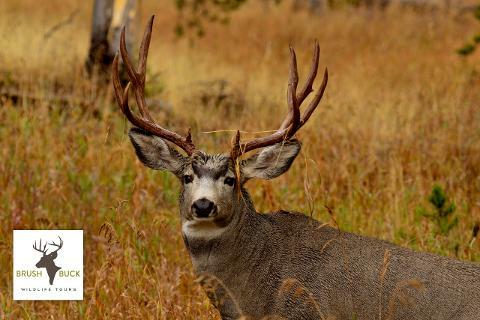 Experience the Greater Yellowstone Eco-system on this unforgettable four-day, three-night driving adventure through Grand Teton and Yellowstone National Parks! 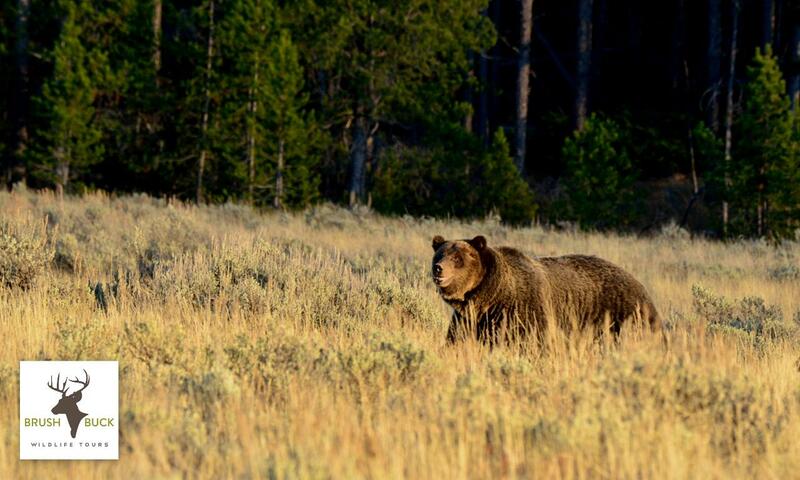 Your adventure begins on an evening wildlife safari in Grand Teton National Park! This afternoon will be filled with wildlife viewing in the vast expanse of Grand Teton National Park. 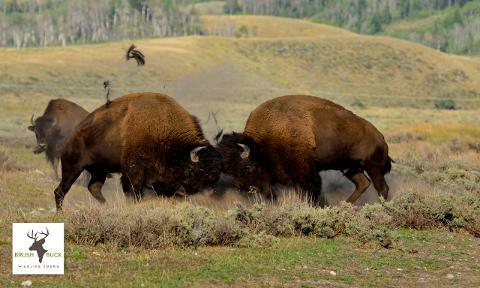 Animals commonly seen during this portion of the tour are bison, moose, bald eagles, pronghorn, coyotes, and mule deer. Keep your eyes open and cameras at the ready for possible bear sightings as well! We will depart early from Jackson, Wyoming, explore more of Grand Teton, and head into Yellowstone National Park. 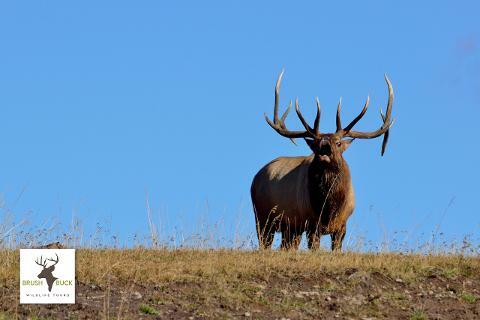 Early morning wildlife sightings will abound in Grand Teton and Yellowstone! We will stop to observe wildlife which may include grizzly and black bear, eagles, elk, bison, wolves, pronghorn and moose. This day will also be filled with history, park landmarks, and world-famous scenery. 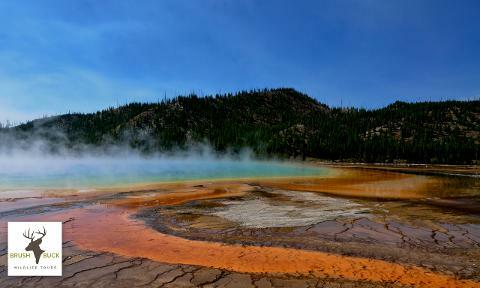 We will be seeing Oxbow Bend, Yellowstone Lake, West Thumb Geyser Basin, and Hayden Valley today. We end our day just outside Yellowstone’s east gate along the banks of the North Fork of the Shoshone River. 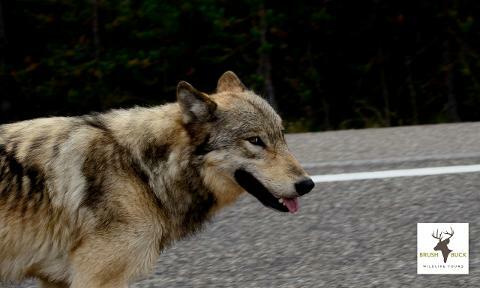 We begin early again and start making our way to the home of the first re-introduced wolves of Yellowstone. 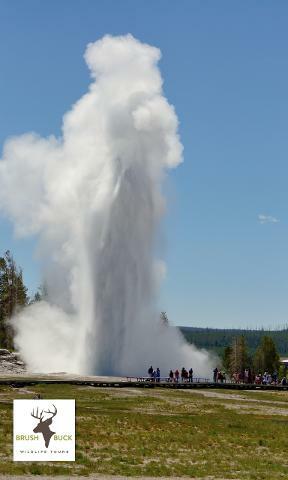 We will visit the beautiful Lower Falls of Grand Canyon of Yellowstone, Hayden Valley, Dunraven Pass, and Lamar Valley. 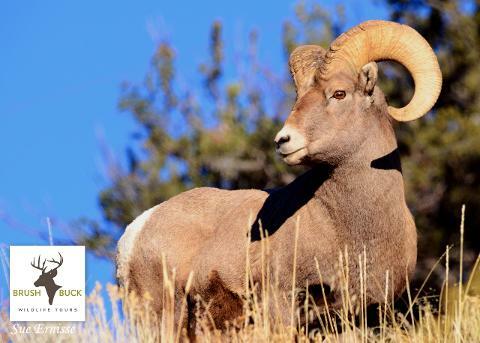 We will have a great chance of seeing grizzly and black bear, wolves, coyotes, eagles, elk, bison, mule deer, bighorn sheep and much more! 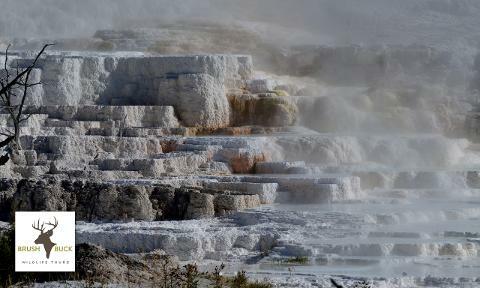 The final day of touring will primarily focus on the major wildlife (wolves and grizzlies) in Yellowstone’s Lamar Valley and the famous Yellowstone geyser basins. 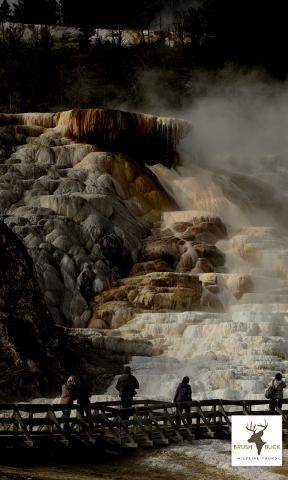 We will walk around the boardwalks at Mammoth Hot Springs, Fountain Paint Pots and Mud Pots, and the world-famous Old Faithful Geyser! Guests will have time to explore and shop at The Old Faithful Inn as well before we make our way back to Jackson Hole, Wyoming.